STORIES: CONTRASTING FEATURES WILL TELL DIFFERENT ASPECTS OF HOW THE WAR WAS EXPERIENCED IN YORK, PAYING ATTENTION TO THE OFTEN NOW FORGOTTEN STORIES OF WOMEN AND CHILDREN, WORK AND PLAY, IMPRISONMENT AND CASUALTIES. HISTORYWORKS PROJECT with DAFX, performed at York's Guildhall example: "To Fight Or Not To Fight"
‘Experiencing The Great War: York in World War One’ is a walking tour around historic York which explores a series of locations within the ancient city walls and the stories they can tell us about York and the people who lived there during the Great War. We usually think of the conflict as one that happened overseas, in the trenches of Flanders, but this trail will illustrate how the war had an impact on York and its citizens. Along the trail we will discover stories of war horses, Zeppelin air raids, wounded soldiers back from the front, enemy aliens, and conscientious objectors. The stories on the trail are the result of intensive research into York’s First World War history by researchers at the University of York, representing a variety of academic disciplines, joining together materials drawn from archives, alongside insights from artefacts in York Castle Museum’s collection and York’s historic centre to tell the global story of The Great War from a local perspective. The media team at Historyworks have worked closely with the curators at York Museums Trust and drawn on the expertise of the City Archaeologist, John Oxley. 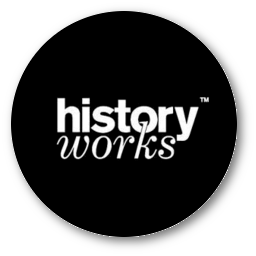 Producers at historyworks have recently reversioned the script and recorded with the BBC's Jonathan Cowap, who is the voice for the audio guide on the app version.